A little over two years ago, I wrote about discovering my great-grandfather's service with the Motor Transport Corps during World War I. See Finding WWI Military Service Despite National Archives Fire. At that time, I received my first batch of original photographs of Sam Kirk (great-grandpa) during his service at the Presidio in San Francisco, California. 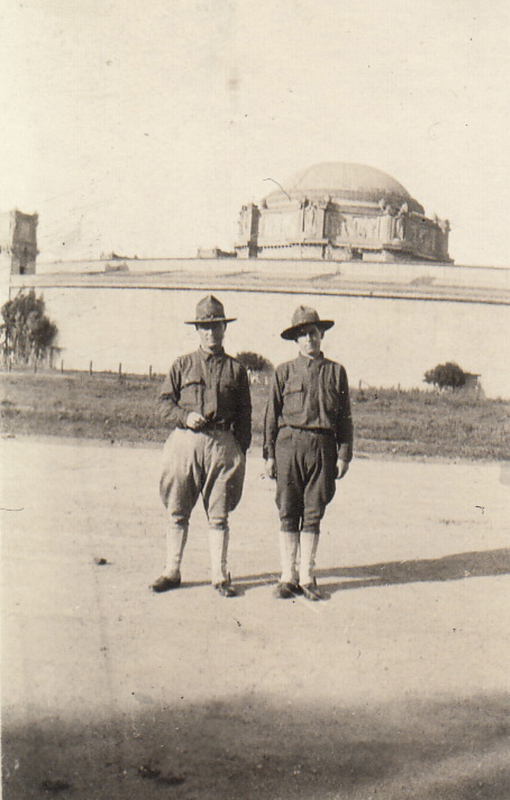 One of the photos depicted Sam with an officer with a very distinctive building in the background. 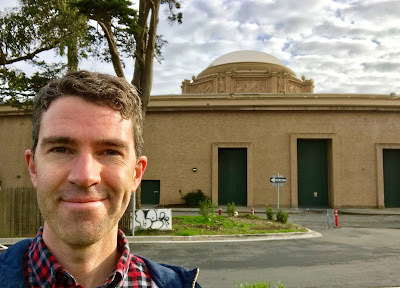 I soon learned it was the Palace of Fine Arts, which was built in 1915 for the Panama-Pacific International Exhibition - a world's fair that was held in San Francisco. in front of the Palace of Fine Arts in San Francisco. Fast-forward a couple years and I find myself in San Francisco for work. Making swift use of my limited time, I hoofed it to the Fine Arts building. Although there is now a busy highway where I speculate Sam stood for this photo, I was able to give it my best shot and recreate the scene 100 years later. The author in San Francisco, retracing his great-grandfather Sam Kirk's footsteps. The Palace of Fine Arts is a beautiful building in a very lovely neighborhood. Across the highway I could see buildings from the Presidio - presumably where Sam was stationed during his military service. Curious what the Palace looks like? Palace of Fine Arts, photo by author. Stupéfiant et incroyable! Those are just the French adjectives for the final photo. I love the recreation photo. Thanks, Cathy! 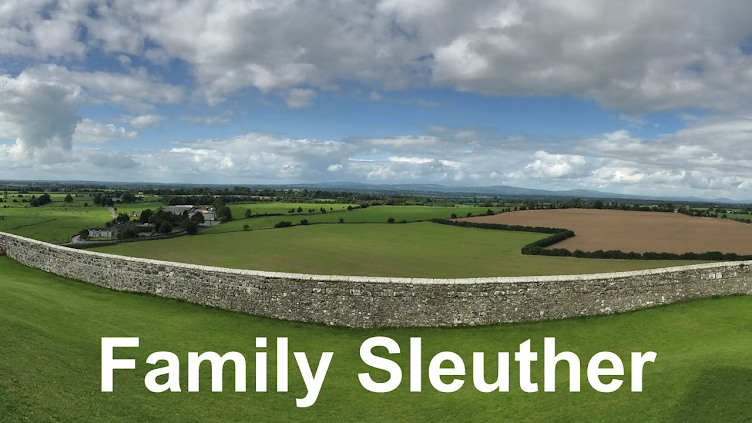 It's fascinating to be able to jump back in time and recreate moments in our ancestors' lives. What fun! And what a fascinating building. I don't remember hearing of it when we were in San Francisco in 2002. I also hadn't heard of it when I was in the city years ago. It's not too far from the Golden Gate Bridge.